EPAULETTE (AUS) (Bay 2009-Stud Ire. 2014, Aust. 2014). 5 wins-2 at 2-from 1200m to 1400m, ATC Golden Rose S., Gr.1. Half-brother to SW Helmet. Sire of SP McMunigal, Field of Roses, Omaha Beach, Sankari Royale and of Fas le Fios, International Man, Malika Moon, Rogue, Best of Me, La Grande Assente, Regimented, She's Different, Augenblick, Doublet, Chookie Dunedin, City Guest, Fayrouz Rose, Highest Rank, etc. His oldest Aust.-bred progeny are 2YOs and inc the placegetters Katy's Daughter, etc. Carmel (f. by Dane Shadow). Winner at 1300m in 2016-17 in Aust. Letmeentertainyou (Catbird). 6 wins to 1200m, A$126,550, SAJC Come to Allan Scott Park Morphettville H., Allan Scott Park Morphettville H., Chrysler Jeep Dodge H., Schweppes H., STC Peppers Hunter Valley H., 2d Oakbank S., L, SAJC Distinctive Homes H.
Rebel Dancer. 7 wins-1 at 2-to 1450m, A$152,675, ATC Theraces.com.au H., BRC AKS Homes H., 2d BRC Gouldson Injury Law H., 3d ATC Become an ATC Sponsor H., Bowermans Furniture H.
Creme Brulee. Winner at 1250m, STC Omni Citrus H., 2d AJC Maroubra H., STC Ranvet H., Auf H.
Fangio (Danehill). 5 wins to 1400m, A$230,740, AJC Festival of Sydney H., Meriton Serviced Apartments H., Smith & Nephew Profix P.H., NEC H., 3d VRC Radiant Black S., L.
BRAZUCA (Teofilo). 6 wins from 1200m to 2000m, R2,021,275, to 2017-18, Turffontein Colorado King S., Gr.2, Index Technologies Pty Ltd S., Guineas Day 4 March P., Racing It's a Rush P., Vaal Sansui Summer Cup Tickets Available at Computicket Graduation P., 2d Greyville Golden Horseshoe, Gr.1, Kenilworth Cape Guineas, Gr.1, Cape Derby, Gr.1, Turffontein South African Classic, Gr.1, Storm Bird S., L, 3d Turffontein Champions Challenge, Gr.1. MR UTOPIA (Elusive Quality). 10 wins from 1200m to 1600m, A$427,019, WATC York S., L, VRC CRV Winter Championship Series Heat H., 2d VRC Winter Championship Final H., L, WATC Grandstand Cup, L, 3d WATC Belmont Sprint, Gr.3. PROM QUEEN (Super Easy). 8 wins-5 at 2-to 1400m, NZ$206,025, to 2017-18, Ashburton RC John Grigg S., Gr.3, Whangarei RC Northland Breeders' S., Gr.3, CJC Champagne S., L, Welcome S., L, New Zealand Bloodstock Ready to Run Sale 2YO S., Gavelhouse.com 2YO S., Whangarei RC Bear Morgan at Harcourts H., 4th ARC Bonecrusher S., Gr.3. SWISS ROSE (Thorn Park). 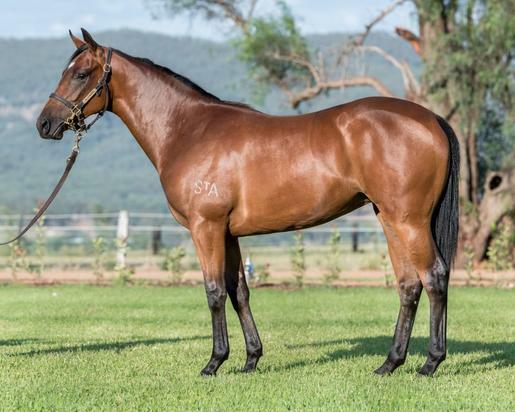 2 wins at 1200m, A$133,500, BRC Mode S., L, 2d QTC Springwood AFL Football Club 2YO H., 3d Qld Tatt's RC WJ Healy S., Gr.3, GCTC Silk Stocking H., L, Qld Tatt's RC Tattersall's Classic, L, 4th BRC Juanmo S., L. Producer. Wyndam Easy (Rory's Jester). 6 wins-1 at 2-to 1400m, HK$5,404,500, HKJC CSL 20th Anniversary H., Boundary Street H., Hung to H., Tsung Pak Long P., 3d HKJC Juvenile Sprint Trophy, L.
Twin Peaks (Rory's Jester). Placed at 2, 2d VRC Ottawa S., L, AJC Centacare 2YO H., 3d VATC Debutante S., L. Producer. RICH GIRL (Rock of Gibraltar). 5 wins-2 at 2-to 1400m, R2,833,350, Clairwood Strelitzia S., Gr.3, Greyville Racing It's a Rush P., Natal Settlers Memorial Homes P., Turffontein Emperors Palace Ready to Run Cup, 2d Scottsville Allan Robertson Championship, Gr.1, Racing. It's a Rush S.